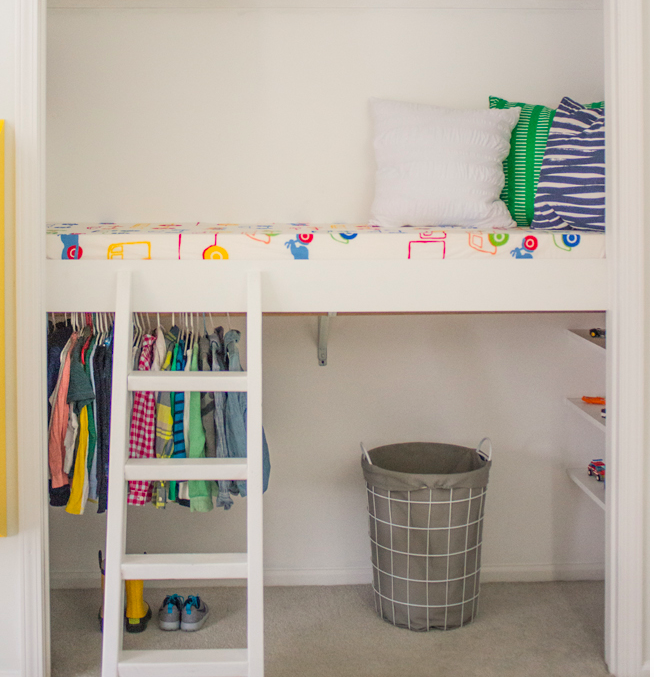 This picture above doesn’t look like much but what Dad is creating in this closet is pretty spectacular and will make sleepovers way easier and more fun from here on out. 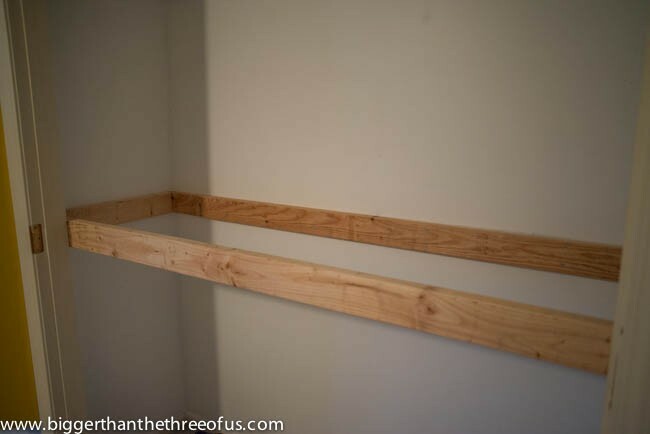 If you have the right shaped closet, you can also create a a closet-loft and if you follow the tutorial at biggerthanthethreeofus you could get it done for $75 just like they did. Check out the full tutorial with pics! Have you ever turned your closet into a multi-tasking space? How? Gina, how bout this loft?! Heck, I would do this for myself! Just make sure not to put the doors back on; plus it is a great idea.